Discover the six water sampling best practices you should use that follow Safe Drinking Water Act standards. Today, millions of people in the United States use more than 170,000 public water systems as their primary sources of water. And water itself is one of—if not the—most important components in the human body. Not only does it make up about 60 percent of your body weight, but water is also your body’s principal chemical component and what every human body system depends on. So, to say that having clean water is important would be an understatement. It is extremely imperative—vital, even—for human survival. But water is vulnerable to a number of threats like animal waste, pesticides, and chemicals that can have drastic effects on public health. In addition, improperly disinfected or treated water also can be equally as damaging to our health. These reasons led to the passage of the Safe Drinking Water Act (SDWA) in 1974. Through this act, the EPA sets certain standards for drinking water quality in order to protect public health. 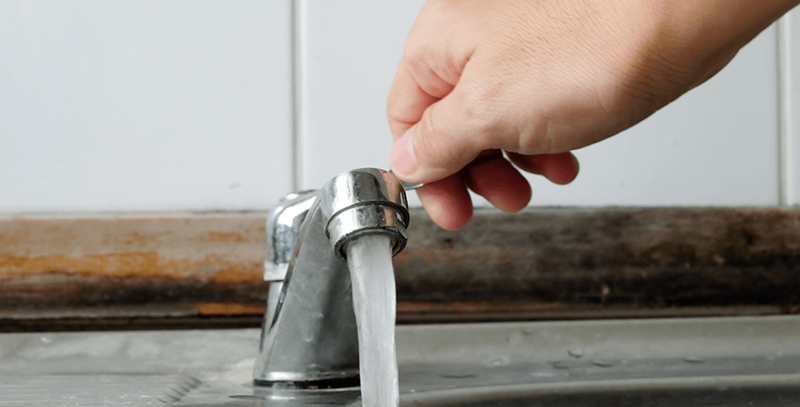 Each standard includes enforceable maximum contaminant levels, and public water systems are required to test their systems for these contaminants to ensure that their systems do not exceed these levels. As a public water system, it’s essential that you use proper water collection techniques and reliable record keeping to meet the regulations of the SDWA. 1) Use a dedicated sampling tap or station for your water sampling. This is generally a preferred location for public water system water sampling because the likelihood of unintentional contamination from chemical fumes, dirt, dust, or other materials is reduced. 2) Transport sample bottles in a cooler or ice chest. As Water Technology magazine points out, most samples are required to arrive at a lab within a specific temperature (between 4-6 degrees Celsius, or 39.2-42.8 degrees Fahrenheit). By transporting your sample bottles in a cooler or ice chest, you’ll prevent the breaking down of contaminants. 3) Use reusable ice packs and exchange them during different steps of the sampling process. AWWA advises that you use reusable ice packs to keep your samples cool. Also, make sure to use one set of ice packs for sampling and another set before you transport them to the lab. 4) Use different coolers per different type of water sample. If, for instance, you’re collecting finished water, raw water, or wastewater, it’s important to use different coolers to prevent cross-contamination. 5) Keep sample bottles contamination-free. See #4: it’s extremely important to preserve the integrity of the samples. 6) Use trip or sample blanks. This is another way to ensure sample integrity and consistency. Trip blanks are quality control water samples that you transport from the lab to the sampling site and back without being opened. It’s best to use reagent water to fill your trip blanks. By using trip blanks, you can see if your water samples were contaminated during the transportation or storage processes. Field blanks, meanwhile, are filled with store-bought distilled water that is guaranteed to be free of any negative substances. You will open or fill these field blanks at the sampling site so you expose them to the field. Do you have any questions about the SDWA or other best practices for water sampling? Let us know!